Adamstown in Ireland-South is a perfect choice for a great holiday or a fun short break in County Wexford. Find out more about Adamstown below. This restored farmhouse located in a development of three restored stone buildings, is just 3 miles from the village of Clonroche, 10 miles from New Ross and 2.5 miles from Adamstown. Country walks on site as well as hill walking nearby. All properties can be booked together (8278,8276) for a family get together or individually for that cosy get away. The owner lives on site and has 2 pot bellied pigs (Podge & Rodge), ducks, chickens and dog. A great countryside retreat with easy access to New Ross, Waterford and the beautiful beaches of Wexford.Shop. Pub 2Ã‚Â½ miles. Restaurant 4 miles. Beach 18 miles. GF: lounge, kitchen/diner. FF: double, twin with ensuite bathroom, shower room.Fuel and Power supplement of Ã‚â‚¬20 will be charged from Oct - April, Oil and Electricity will be included outside of this., wood burner with starter pack, linen and towels included, travel cot, high chair, stair gate, TV, dvd player, freezer, microwave, dishwasher, w/machine, internet access, uk tv channels, welcome pack, partially enclosed shared garden, shared courtyard, garden seat, shared bbq, swings and slide, shared driveway, off road parking. Pets welcome. Adamstown is family friendly self catering. We have the following details listed regarding Adamstown accommodation accessibility but we would recommend that you always confirm these prior to booking with the owner or operator. Adamstown is a great base to explore the wonders of County Wexford and you will find plenty of activities near by. Adamstown is at Nr Wexford, County Wexford. Check out the map below for directions, use the controls to zoom in. If you have stayed at Adamstown why not add your thoughts, comments, pictures to our Facebook page? Don't forget to add the name/town/page link to your comment so its attributed to the correct place. Please keep it polite, we are sensitive souls! Find Cottage Holidays works closely with independent cottage owners and leading holiday travel operators to provide you the widest choice of self catering accommodation across Ireland. 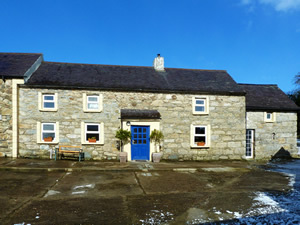 Adamstown in County Wexford is available through: Imagine Ireland. If you are heading to County Wexford then check out our guides to local holiday attractions, gardens to visit and county shows to see.